"Former MIT professor 'robs bank,' films 'heist,'" read a New York Post headline earlier this year. To the surprise of many who knew him, the man behind this double set of scare quotes was none other than filmmaker Joe Gibbons, long regarded as one of the masters of small-gauge cinema. According to this and other news reports, Gibbons had been caught robbing his second bank, armed only with a written note and a video camera. Though little else is publicly known about the case at this point, even these few details resonate strongly with Gibbon’s body of work, leading some to speculate that this event may have been intended as part of a new Gibbons production. In more than thirty completed films made since the 1970s, the artist has played elaborate and brilliant games with his viewers’ sense of documentary reality, using autobiographical elements to build fictional tales, or, conversely, staging made-up scenarios in the midst of real-life settings. At the center of many of his films is “Joe,” a misanthropic narrator with tough luck, bone-dry wit, and dubious reliability, who seems to use his camera not so much to record the world as to process his own emotional states through a public medium. “I just can’t be that sincere,” Gibbons has said. "I really push things to extremes, but I try to maintain some sort of verisimilitude, so it might get taken for the truth." Created from footage shot in Yuppie-era Boston and San Francisco, Living in the World showcases Gibbons at his prime. The story is told through a series of “confessions” made by the narrator to his camera, as he decides to quit his position at a health-care company and continue his life outside the strictures of a 9-5 gig. "There’s something wrong with the world when you have to work and you don’t want to," Joe declares. But then he finds that drifting jobless through the land of the employed creates its own peculiar anxieties. "Living in the World makes use of a characteristic Gibbons technique whereby the filmmaker himself, almost always in isolation, talks directly into his Super-8 sound camera," John Pruitt wrote in a 1986 issue of Motion Picture. "Whether in a group or totally alone, Gibbons always talks to his Super-8 camera as if it were the most natural thing imaginable. Its presence never breaks the spell of his improvised monologues and therein lies the exquisite tension of the film. Though obviously artificial, the scenes are usually not staged. Gibbons simply takes his camera out into the world, to his desk at work, a restaurant, a family dinner, his psychiatrist’s office, etc., sets it up, starts talking to it, and sees what happens." 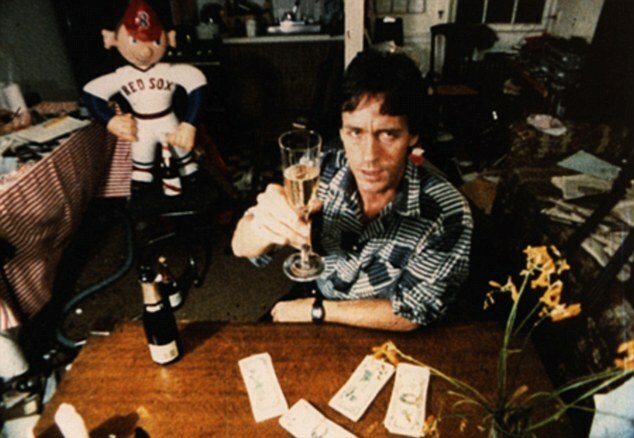 In his own program notes for the film, Gibbons remarked that he "wanted to make a dramatic film with integrity, a narrative film without selling out to fiction. It occurred to me that daily life is full of drama, packed with small-scale suspense: Will the swordfish turn out OK? Will I get mugged on my way through the park? Will my car make it to New York without breaking down? Will I be able to pay the rent this month? Will I be arrested and sent to prison? How much longer can I get away with it? What kind of future have I got? What have I done with my life? And so on…Living in the World is pretty much true-to-life. Certain obvious chronological liberties were taken, but nothing in the film was staged, or faked. The phone conversations are real, the psychiatrist is real, the bill collector is real, the circumstances I speak of are real—my persona in the film may be a little unreal, but I think I’m allowed some ironic distance from myself." Gibbons is currently being held in jail as he awaits trial. In the meantime, his friends have set up a support fund for his many current and future financial needs, which include medical fees and, should he be released, basic necessities like food and housing. All proceeds from our screening will go towards this fund. Those who can’t attend can still show their support online here or here. Tickets - $5-$20, sliding scale donations, available at door.